What's New in this Lightroom Release > Lightroom Classic Updates > What’s New in Lightroom Classic CC 7.1 (December 2017)? Lightroom Classic CC 7.1 has been released today. This release is focused on new camera/lens support for Lightroom, as well as bug fixes. There will be a final update for Lightroom 6 on December 19, to add new camera/lens support. The entire Lightroom CC ecosystem has also been updated. New Intelligent Auto Settings, powered by Adobe’s Sensei! By popular demand, you can now Alt-click (Windows) / Opt-click on an existing sample to remove it. If you were having display or performance problems and added a config.lua file, recommended by some of the engineers on the feedback forum, you can now remove it. The new Auto is pretty impressive and a welcome adder. NOW, where is their stated concentration on performance? Still getting beachballs on Development sliders where I got none before. Editing work is almost impossible. Very disappointed. 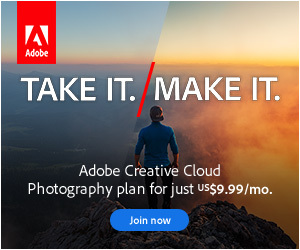 Adobe has in essence betrayed its loyal customers. I am experiencing the same performance problems and believe that performance has deteriorated significantly. Very disappointing and very frustrating. Make sure you report it at the Official Feature Request/Bug Report Forum at https://feedback.photoshop.com/photoshop_family/topics/new/add_details?topic%5B Ray, and include the contents of Help menu > System Info so the engineers can piece together the similarities between reports of deterioration. Issues that only affect a small percentage of users are a nightmare to track down, so the more information they have, the better their chances of fixing it. It still lacks Fuji XT2 camera profile…..anyway to add? The Camera Calibration profiles are there. You won’t see any Lens Profiles because the corrections for the Fuji XF lenses are already encoded in the .RAF files. When will the update be available? ITs not showing up yet. If the “check for updates” at the end of the post doesn’t work, you could sign out/in the Creative Cloud app. Sometimes that gives it a nudge. No, not yet. It’s a very new format, and therefore no doubt some technical difficulties to address. Oh thanks for spotting that Roman. I was thinking of the OpenGL and Direct2X ones, and hadn’t realized a keywords one was also floating around. Hi Vitoria, does the new auto tone work when you use the HDR feature with auto tone selected? I did not updated since you took your “sabbatical” (LOL) I’m on the 10.99 CC Photographers plan ,but after the last update I had desktop icons causing a lot of confusion.What I would like to do is delete the LR on my computer and then do a clean update. Will I lose my Catalog if I do that? Thanks for your help and sooo glad youare back. No, that’s fine. Check your backups first for your peace of mind. Thank you so much for your help,it WORKED.G lad to have you back. Please get profiles for Fujifilm cameras and lenses. PLEASE !! The lens correction data for all XF lenses on Fuji cameras is built into the RAW file and is automatically applied when the image is imported. You won’t find any lens profiles for those lenses because they’re not needed. The same is true of Panasonic, Olympus, some Sony, some Leica, and some drone cameras. Lightroom Classic (and to some extent LR 5 before I upgraded) frequently ejects my external hard drives that contain my images. Has done it to two different drives, both of which check out fine on disc utility. Using a 2012 Macbook Pro with 16 Gb Ram. In addition, as per post by MATTS, the beach ball comes at the slightest provocation during use, requiring me to Force Quit LR and restart computer. Ejecting drives is an OS function, and I can’t think of anything in Lightroom that could eject them. Have you tried it on another computer or even in a guest user account. I haven’t heard other reports of other people getting their drives ejected, but you could report it on the bug report site just in case. I’m still confused about the terminology. 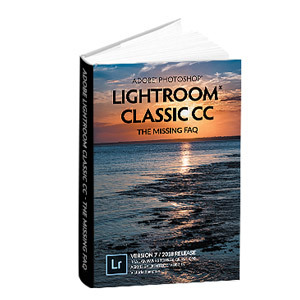 Lightroom Classic CC 7.1! I thought Classic and CC were opposing terms. Perhaps I am confused because I just found your website. I am a Lightroom 5.7 user, and I want to decide on which to go. I just bought a new Canon lens; it’s EF 35mm f/1.4L II lens. I want to be certain that the profiles are in whichever version I buy. Classic is the latest version of Lightroom-as-we-know-it. It has all the features we’ve used for years. It stores the photos on your local hard drive and you have to manage them, so there’s a degree of complexity. CC is a new cloud-first app. Photos are stored in the cloud and are all available on all of your devices, wherever you are. You don’t have to worry about managing the photos, so it’s simpler to use, but it’s brand new, so it’s feature set is more limited too. Then why isn’t Adobe calling this Lightroom Classic? “Classic” conveys perpetual license and storing photos where we did before, same as before with 5.7. But why is Adobe calling the “CC” and what the 7.1 about? I thought that version 6 was last perpetual license. Do you know If the lens profile is available for Canon’s EF 35mm f/1.4L II? 7.1 is the version number of the latest Lightroom Classic release. It stores the photos on your local hard drive, as you did before in 5.7. CC means it’s subscription software – it’s part of the Creative Cloud group of apps. Version 6 was the last perpetually licenced version. All future Lightroom versions, including this 7.1 release, are only available on subscription. I’m not at my desktop right now, but if you click the link at the end of the list of new lens profiles, it’ll tell you whether that lens is supported. Adobe said (via Chat) Version 6 is the last version Classic. They I can buy Classic version 6 with the profiles in it for Canon EF 35mm f/1.4L II for $79. They are pushing CC. If Adobe Lightroom Classic 7.1 said it wasn’t available, why didn’t direct to their website so I could buy it? Let’s try phrasing this a different way. Perpetual (purchased) licenses and Lightroom Classic are two different things. Lightroom 6 is the last version you can buy outright to use indefinitely. And yes, I’ve confirmed it does have the lens profile for that lens. That’s $79 + local sales taxes. Classic is Lightroom 7’s new name. It’s now officially called Adobe Photoshop Lightroom Classic CC. It’s only available on subscription at $9.99 a month including Photoshop too. You know it would have been less confusing if Adobe were to have named their products with some common sense. Just how difficult would that have been? EX) Lightroom 7.1 Home and Lightroom 7.1 Cloud: both available through subscription only. The marketing department are a law unto themselves Matt, but I agree with you.